UPDATE – Because so many people turned up to the first talk in March – we’ve had to change to a bigger venue. 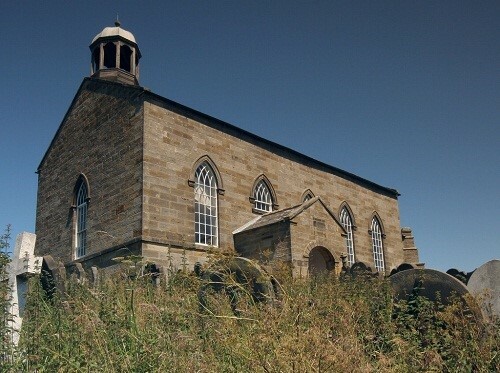 So please note that the next three talks (11 April, 30 May and 18 July) will be at Danby Village Hall (Dale End, Danby, Whitby, YO21 2LZ). 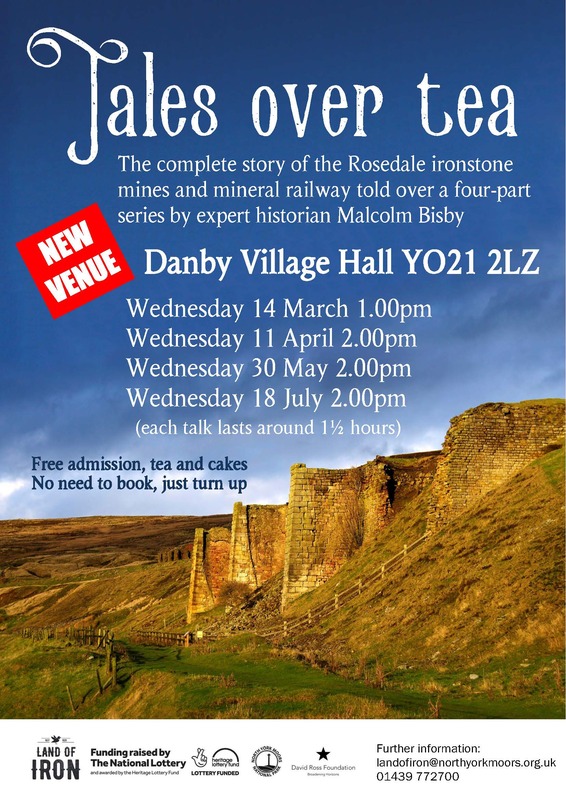 The Land of Iron team are delighted to be able to present a series of talks by acclaimed historian Malcolm Bisby, widely considered to be the national expert on the ironstone industry in Rosedale. 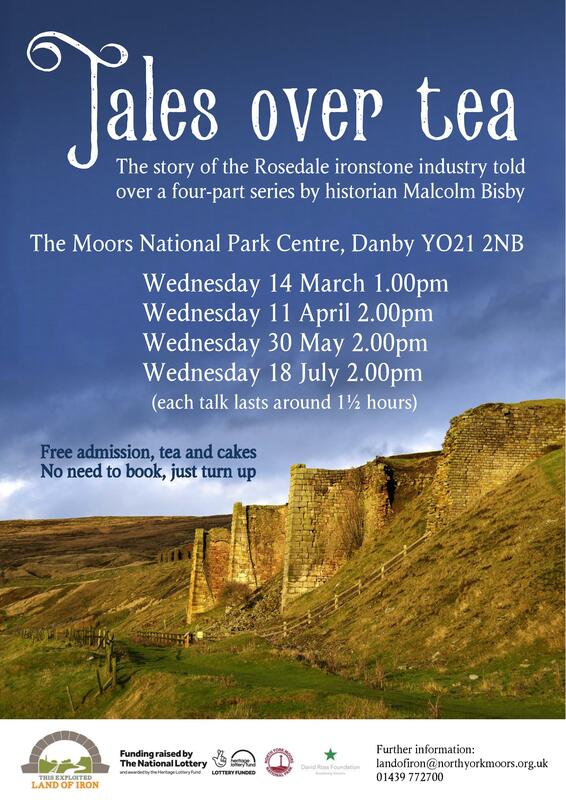 This is a free four-part lecture series over the next few months, based at the Moors National Park Centre in Danby. The first talk will take place on Wednesday 14 March starting at 1 pm. 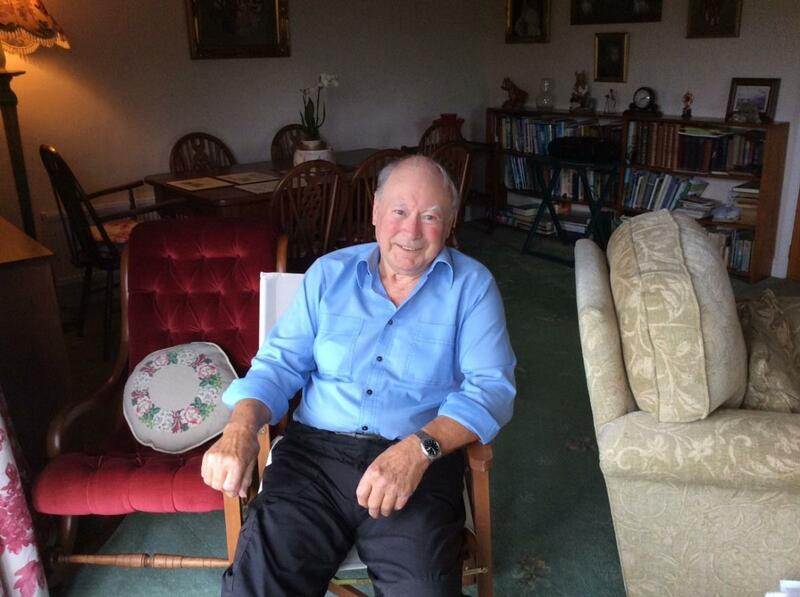 Historian Malcolm Bisby, well known in the North York Moors and an expert on the ironstone mining industry in the local area. 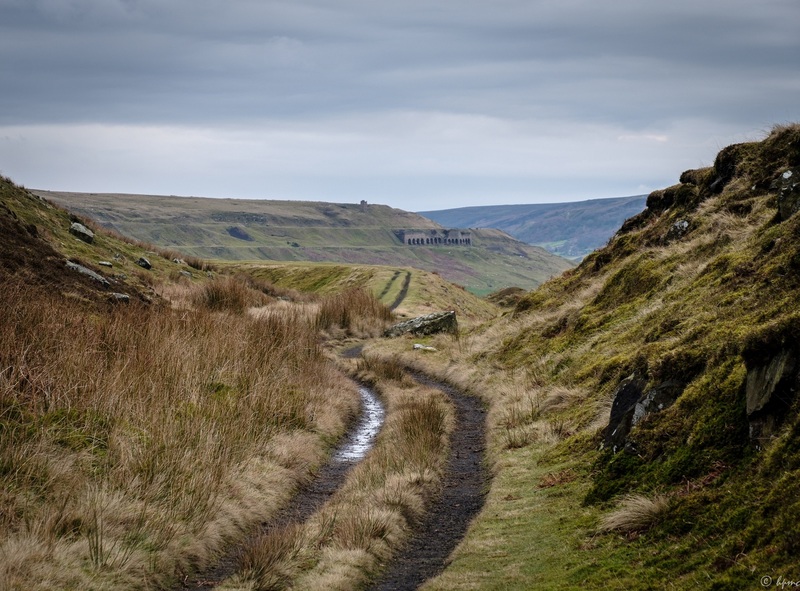 Positioned at the heart of the North York Moors, the Rosedale railway played a fundamental role in delivering the ironstone from the nearby dales and hills onto the wider transport network and to the iron works in the north east of England. 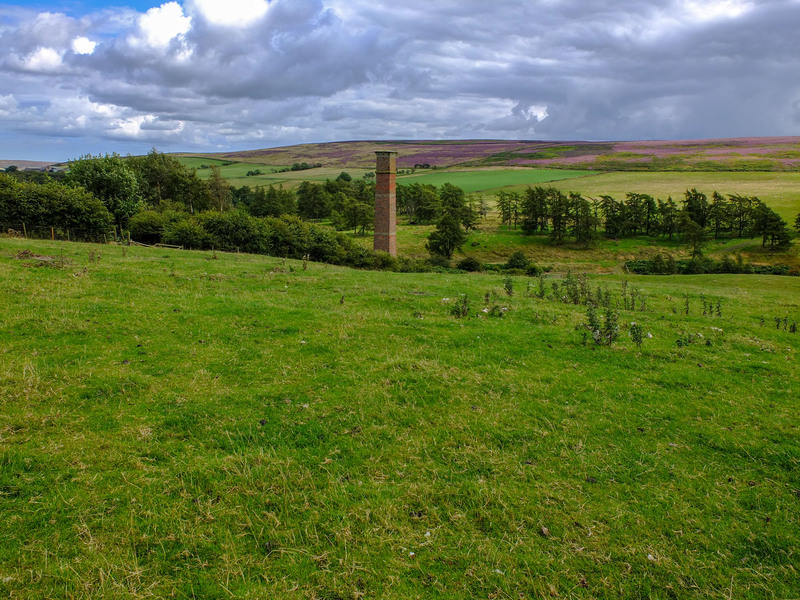 From the opening of the first mines in the 1850s to the lowering of the last locomotive down the Ingleby Incline in 1929, Rosedale played host to the impressive and ground-breaking 14-mile long railway alongside a number of important mining sites. 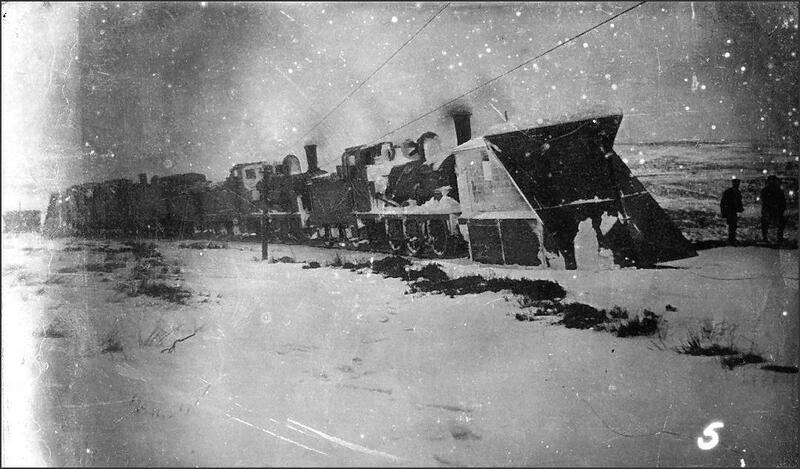 The locomotive approaches Ingleby Station. 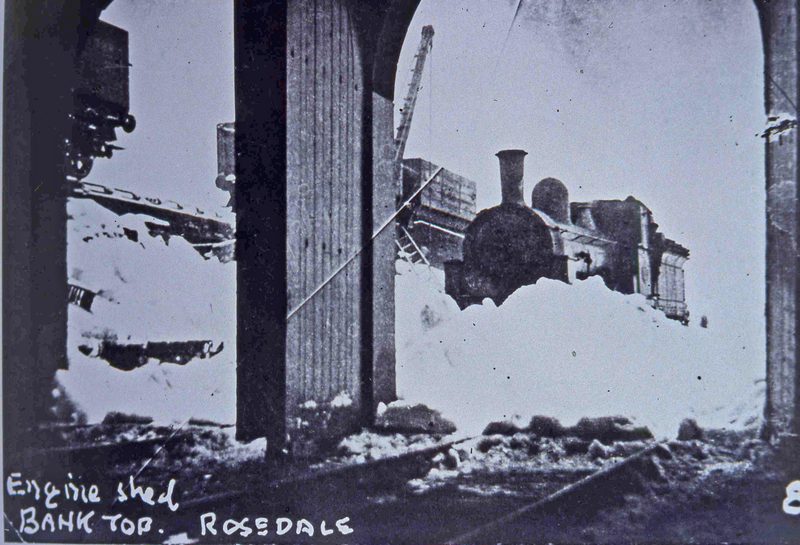 As well as carrying the ironstone from the mining sites to the iron works, the engines that used the Rosedale railway branch line also connected new and old communities together. The series promises to be fascinating opportunity. Malcolm will expertly introduce the Rosedale area and explain the importance that the mining industry had on the local communities and population. The ironstone industry changed the area fundamentally, the effects of which can still be seen in this magnificent landscape today. 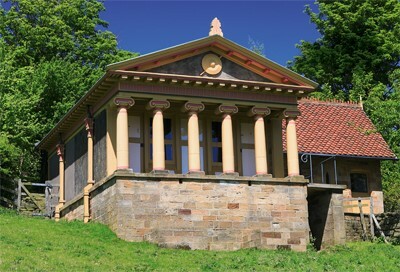 Come along to the Moors Centre for the first talk on 14 March – no need to book. 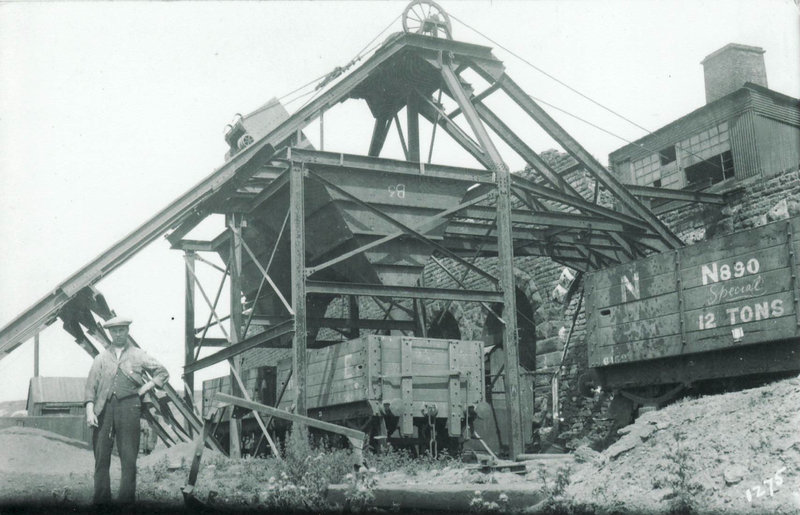 There will be a wealth of historic photographs of the ironstone mining industry in operation alongside a whole host of wonderful stories, all complemented with afternoon tea and cakes. 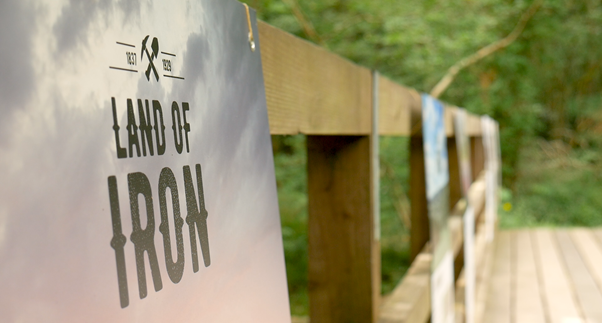 If you would like further information on upcoming Land of Iron activities and events – please see our Land of Iron website or email us. 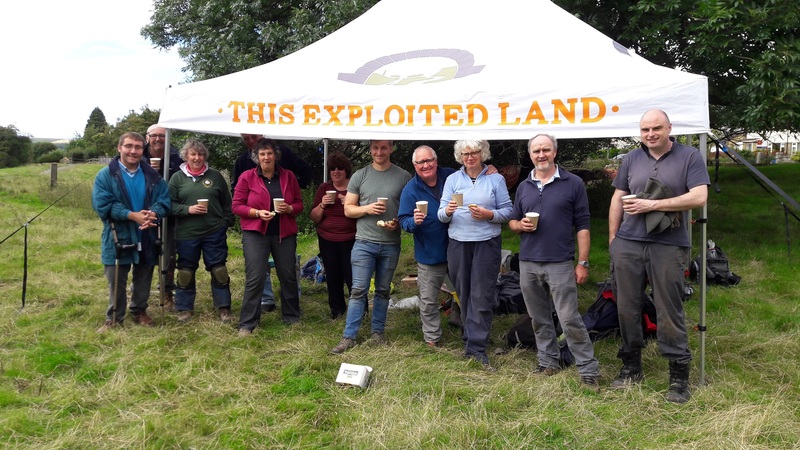 This Exploited Land of Iron, our HLF Landscape Partnership Scheme, has had a busy and successful first summer with well attended events and exciting activities taking place across the North York Moors. 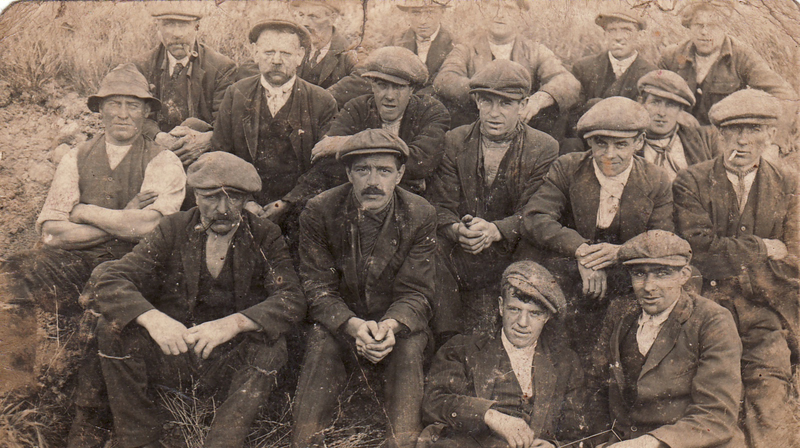 This Exploited Land of Iron is investigating the once booming ironstone industry, which spread across the area from the early 19th century until the mid-20th century, although you may not easily notice its intrusion on the beautiful landscape today. 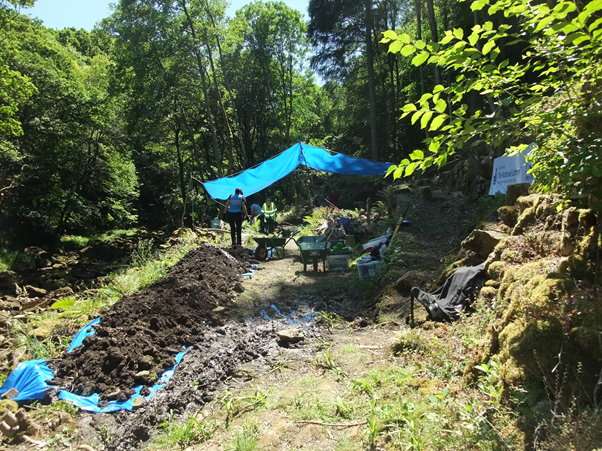 Following our first archaeological dig at Combs Wood (Beck Hole) back in May, our second archaeological excavation recently took place at the Goathland Incline over a two week period between 25 July and 5 August. 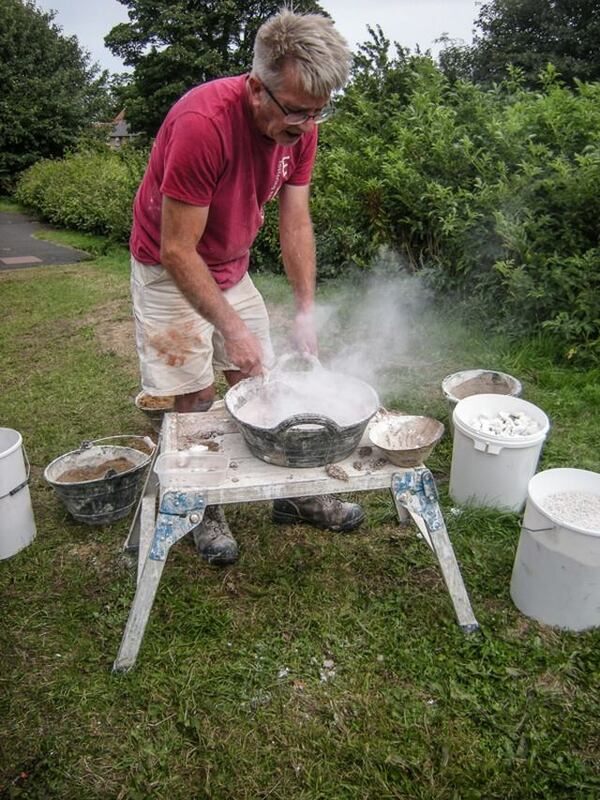 It proved particularly popular with volunteers and passing visitors. Today the village of Goathland is a peaceful and idyllic haven for tourists, a former spa town famous for the North Yorkshire Moors Railway and for masquerading as the fictional village of ‘Aidensfield’ from the old TV series, Heartbeat. You wouldn’t know today to look around the village, but Goathland once played a brief but fundamental part in the 19th century ironstone mining industry, a noisy and disfiguring industry that required the transport of thousands of tonnes of ironstone across the North York Moors via railways. 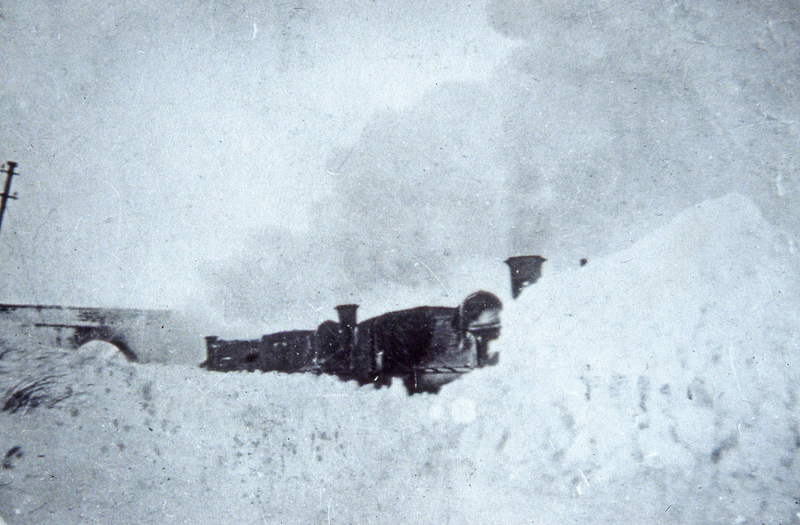 In fact not many historic photographs of the Goathland Incline survive at all. As such we didn’t quite know what existed or what remained. 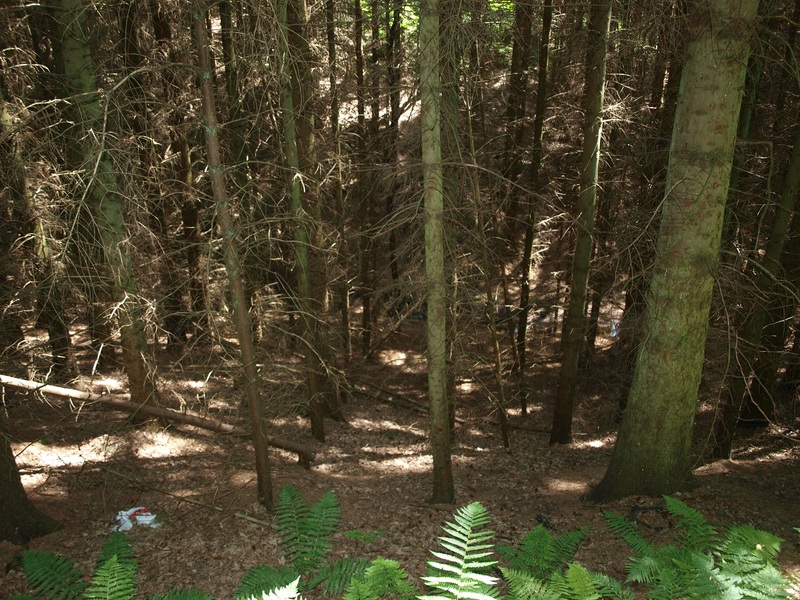 Targeted archaeological excavation, following a thorough study of the area and its history beforehand, was undertaken to investigate the remains at the Incline.. The site itself dates to a brief period in the mid-19th century when the railway was in its infancy. The early Whitby to Pickering horse-drawn railway was designed in the 1830s by none other than George Stephenson, the famous and much in-demand ‘Father of the Railways’. 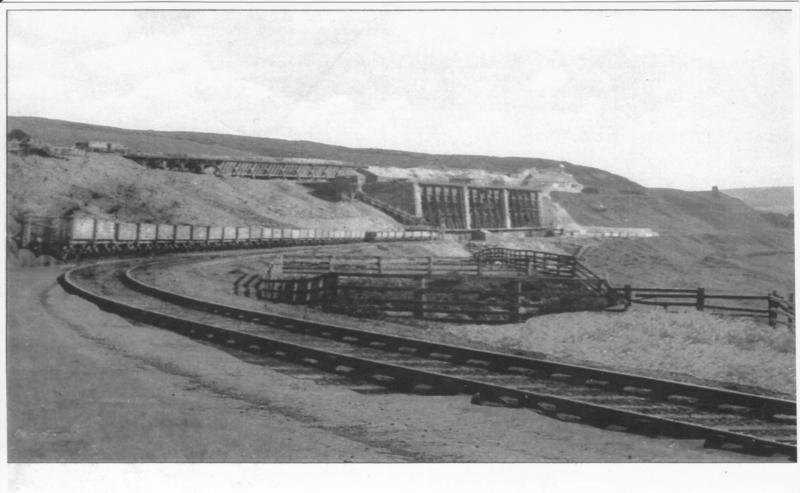 For the majority of the line, wagons and carriages were hauled using horse power; however, due to the 1 in 5 gradient present between Beck Hole and Goathland, an alternative power source was required. 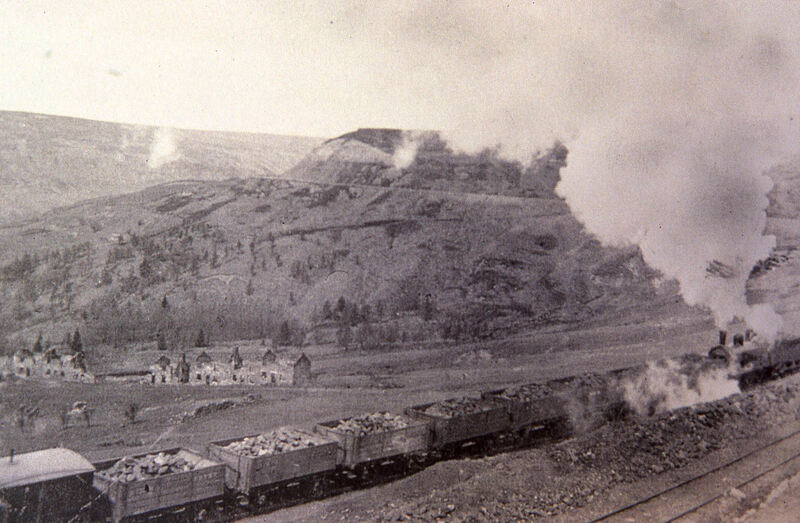 Powered inclines had been in use for a number of years by this point, employed primarily at mines. At Goathland a gravity system was used to haul the wagons and carriages up the incline – water butts were filled at the top of the incline and their weight was used to offset the weight of the wagons themselves, effectively and somewhat spectacularly pulling them up the incline. Once the water butts were at the base of the incline, they could then be emptied and brought back up by horses to be used again. In 1845 the horse-drawn railway was transformed into a steam hauled railway by the new owner, a certain Mr George Hudson. At some point the incline itself was also transformed to steam power with a stationary engine sitting at the top of the incline. 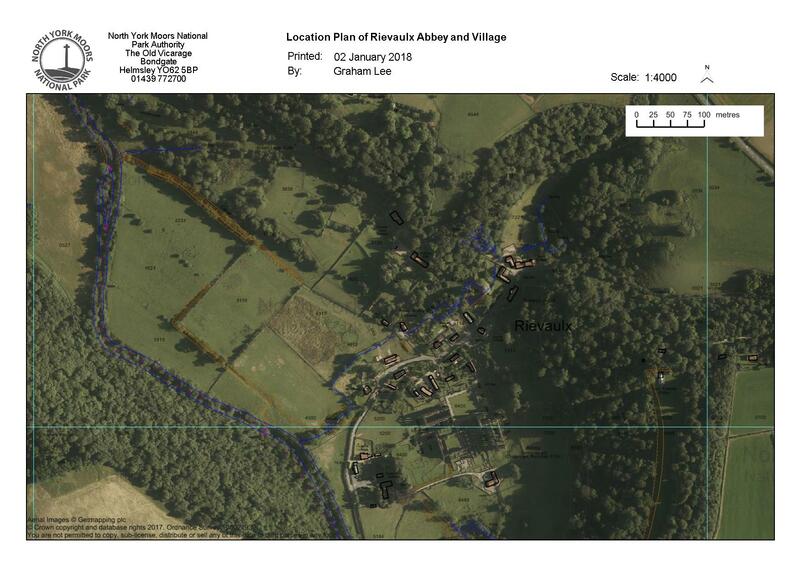 The engine house is shown on the Ordnance Survey map surveyed in 1849, but we’re currently unsure of the exact year that this new feature was installed. 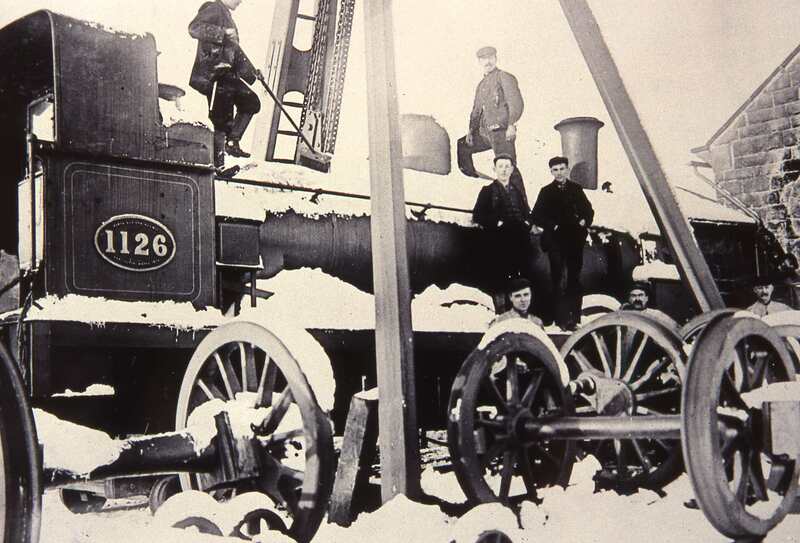 The conversion to steam power also required the installation of turntables at both the top and foot of the incline itself, as unlike the horses, locomotives could not turn themselves around in such a small space. The incline was a perilous operation and was known to fail; a crash in 1864 killed 2 people and injured 13. In 1865 a deviation line was built which took a wider route with a shallower gradient that eliminated the need for an incline. The buildings were demolished, the site was abandoned to be subsumed back into Goathland village and the rest, as they say, is history. 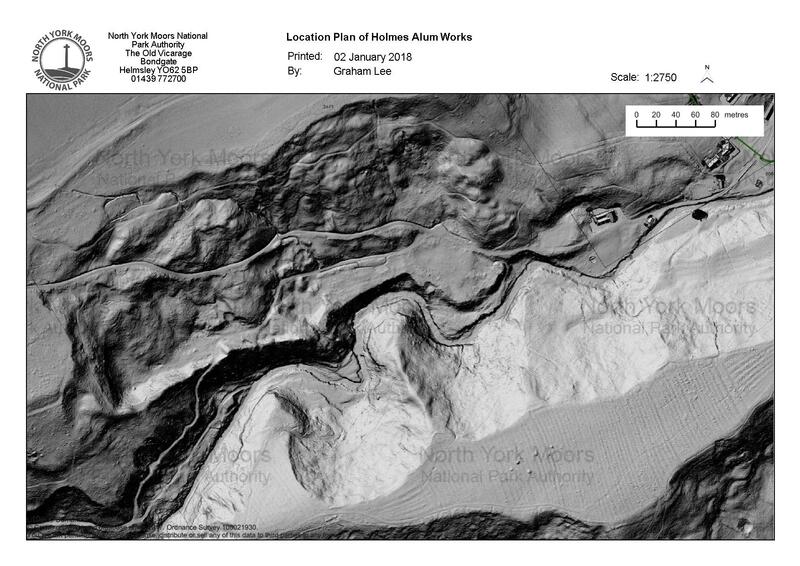 Due to the early date of the railway at Goathland a lot of the layout relating to the gravity system remains unknown as it was replaced before the earliest ordnance survey maps. 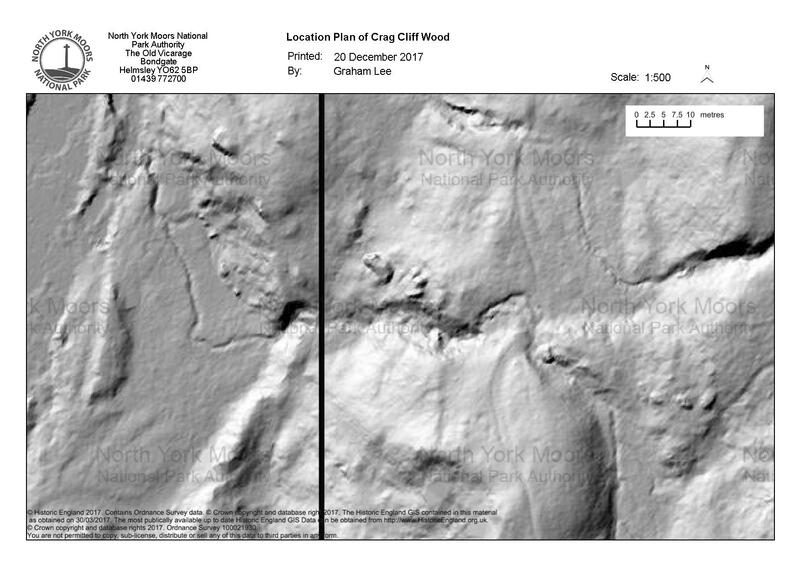 So we decided to open a series of trenches that targeted known historical structures and possible new structures identified by a LiDAR survey. 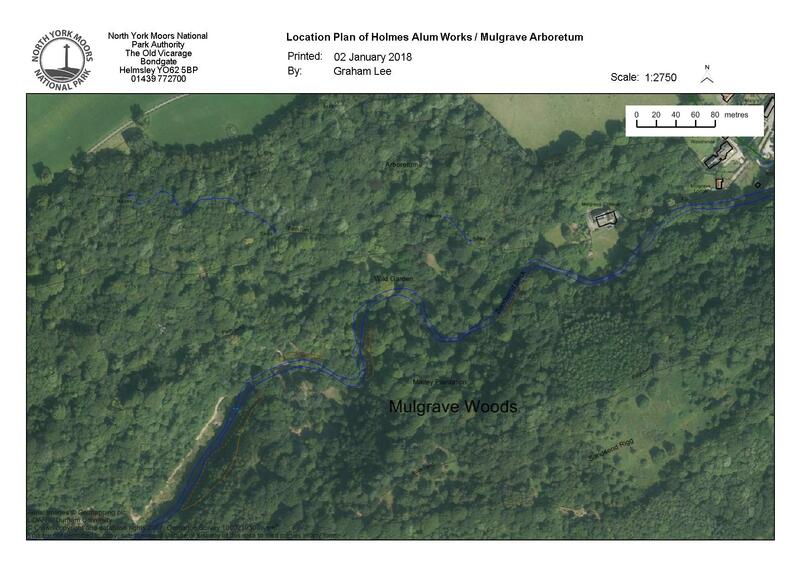 Using remote sensing LiDAR maps the topography of the land from above and because it takes measurements from a variety of angles, it can effectively see though heavy vegetation and wooded areas. 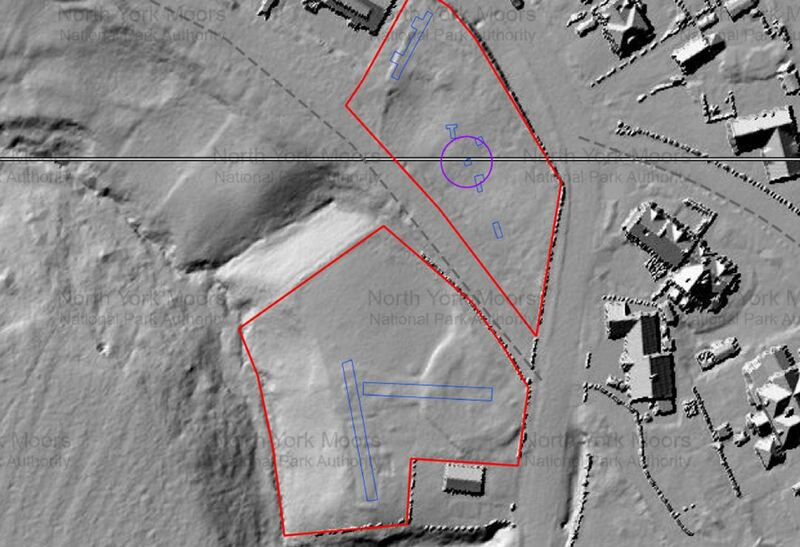 This allows for the identification of possible building structures or man-made earthworks within the targeted area. 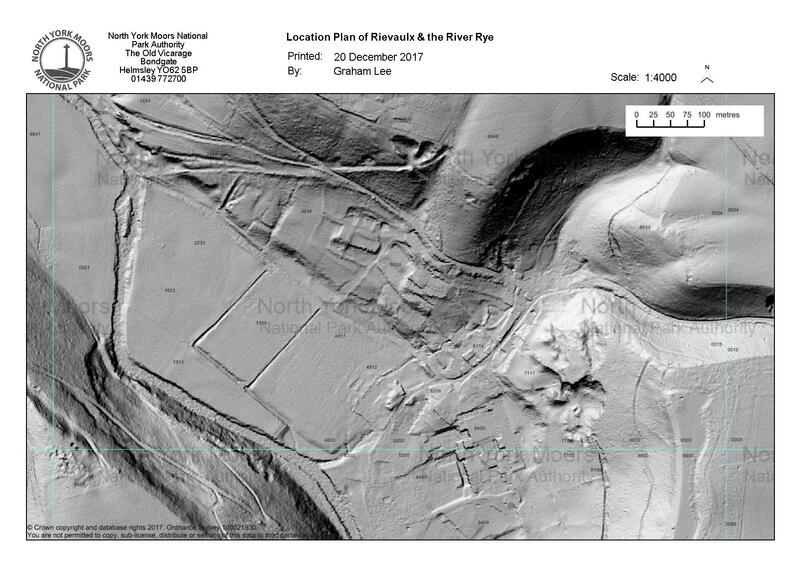 We placed three trenches over a circular feature suspected to be a turntable, one over a series of linear features shown in LiDAR and thought to be the remains of buildings, and one over the alleged engine house for the stationary engine. The engine house location proved true but unfortunately not the rest. In archaeology, with both the best will and research in the world, you never truly know what you are going to uncover. 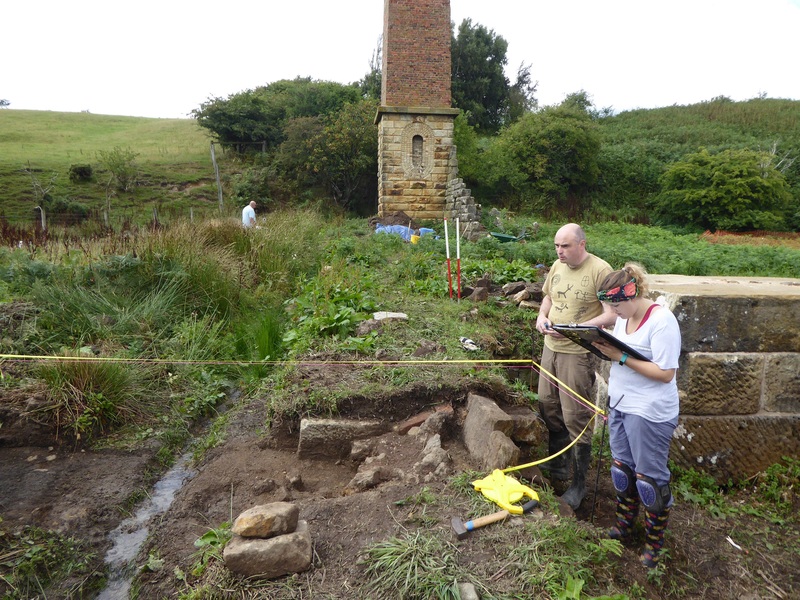 The turntable was in fact a reservoir and what looked like building remains were probably instead the remains of allotment beds. 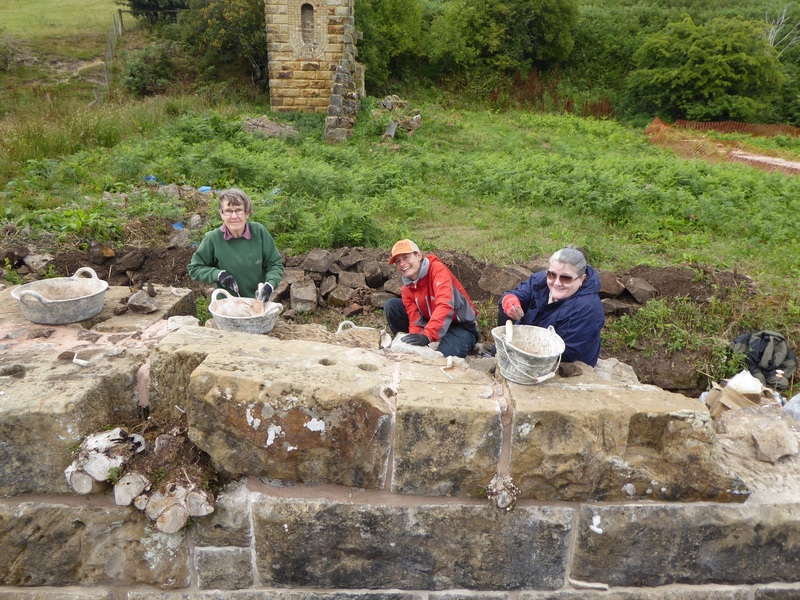 Our amazing volunteers hard at work on the trench that provided to be a bit of a damp squib. The reservoir was interesting in itself as it turned out to be a clay capped earthen structure that had silted up over the years and had obviously been used as a rubbish dump. Finds such as jars, broken toys, Victorian glass bottles and ceramic wares gave us an insight into 1860-1940s Goathland life. Despite the late nature of the finds themselves, the structure itself we believe dates from the early gravity system, and offers us the only archaeological insight into that period. 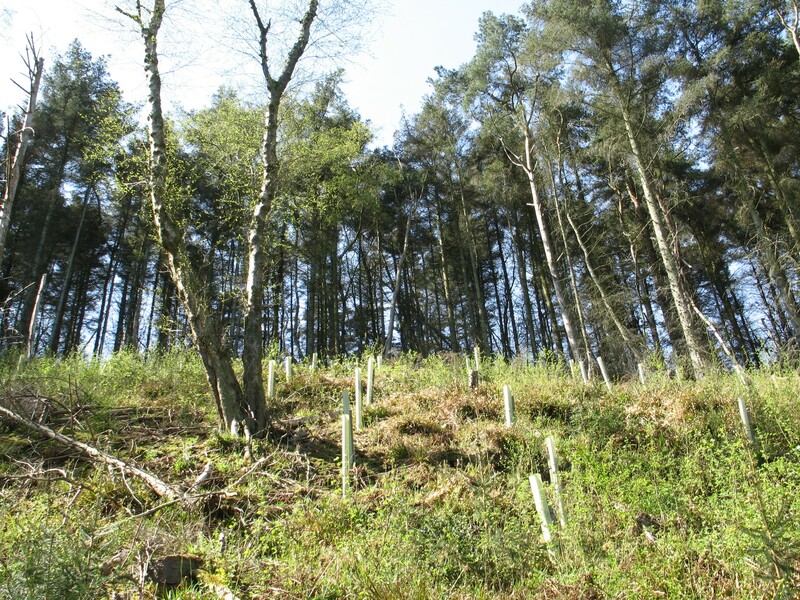 At that geographic level in Goathland there is no fast flowing water supply sufficient enough to fill the water butts for the gravity-assisted incline system. As such large water storage areas would have been required and allowed to fill on a slow trickle. Could this be what the reservoir was used for? 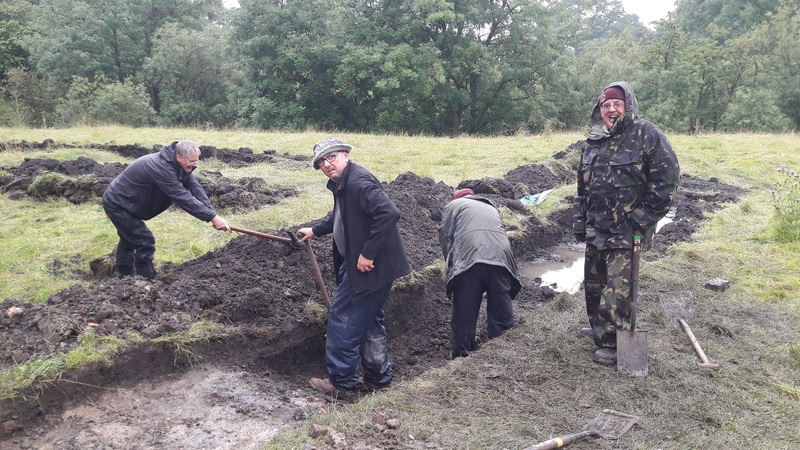 Getting down and dirty investigating one of the trenches with our Cultural Heritage Officer Maria Calderón and placement student Ewan Chipping to see what great work the volunteers have done. Within the trench targeting the engine house we found substantial remains of stone walls 70-80cm (28-32”) thick with foundations continuing below a 1.4m (4’ 8”) depth from the surface level. 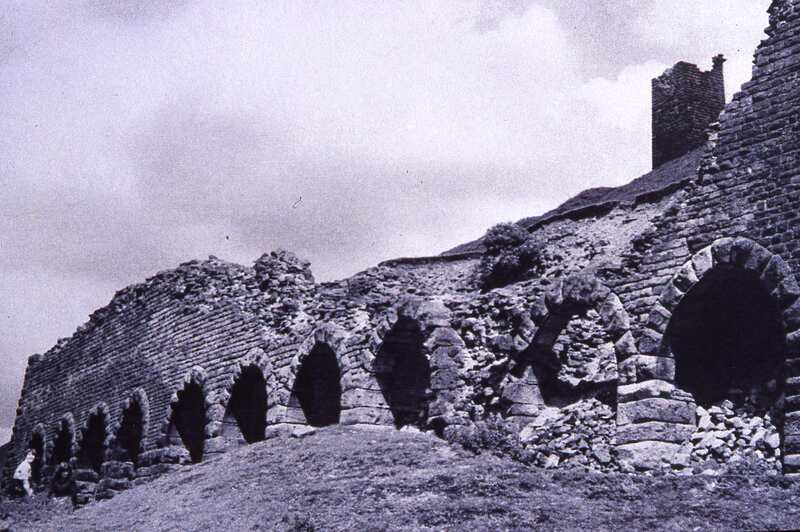 It is clear that the engine house was a substantial structure with a basement. There were two internal rooms divided by a further stone wall. 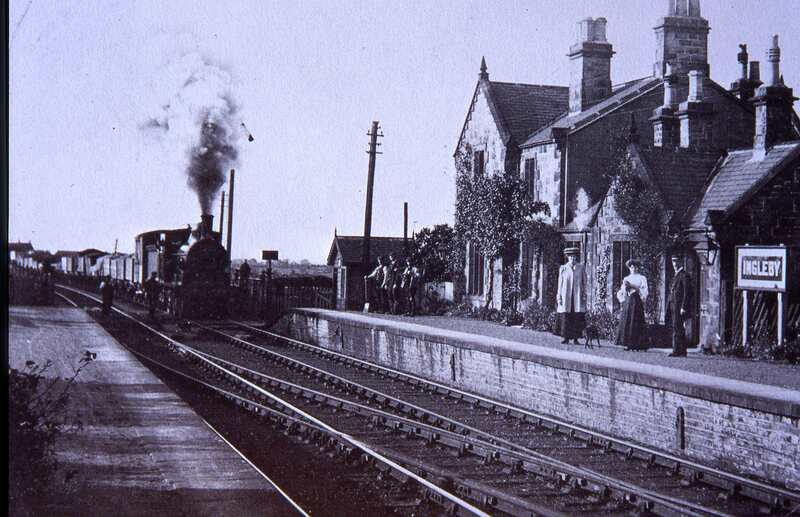 The building would have been roofed in slate, rather than the local vernacular of pantile; this is typical of railway buildings, as the companies that operated the railways worked on a regional or national level, and did not respect local building traditions. Sadly we found no evidence of conduits or the stationary engine. In all likelihood most of the metal worked was instead probably sold for scrap at some point. To the north of the building we found traces of a stone covered yard. ‘Have you found anything interesting?’ We certainly did! You can tell by the foundations of the stone walls in this trench that a substantial building once stood here, like the engine house. 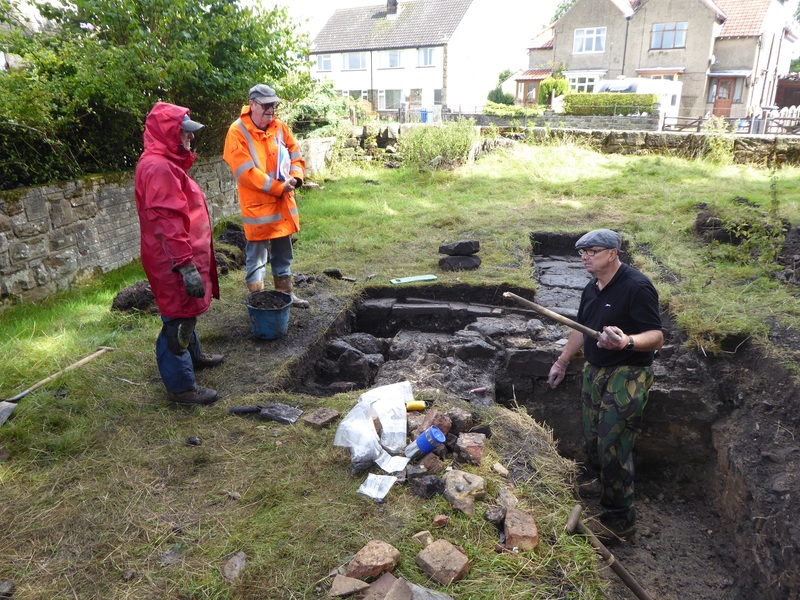 But we had not given up on the turntable and with the help of a local resident we gained permission to open further excavations on the site. We opened six small test pits and hit the remains of a turntable in three pieces; two edges and at the centre point, from which we can extrapolate the size. This was a highlight of the excavation and was the fruitful work of a few very determined volunteers. One of the smaller test pits also identified the corner of a brick building that had been demolished. a) How deep does the engine house go? b) Are there any remains in the rooms waiting to be discovered? c) Where was the cable drum for the incline? d) What is the small brick building? With these questions lingering in our minds after the excavation we’ll now process the information recorded and help to produce archaeological reports based on the available evidence. 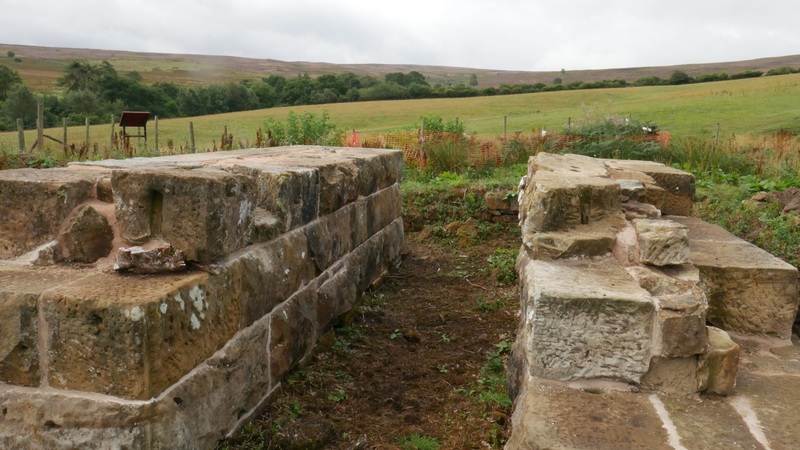 As always with archaeological fieldwork there may be more questions than answers, but what this dig helped uncover is invaluable to learning about the industrial life of the Goathland Incline and the individuals who worked on it and lived nearby. Last but not least, we also had time to celebrate Yorkshire Day on the 1st August with a good mug of Yorkshire Tea! 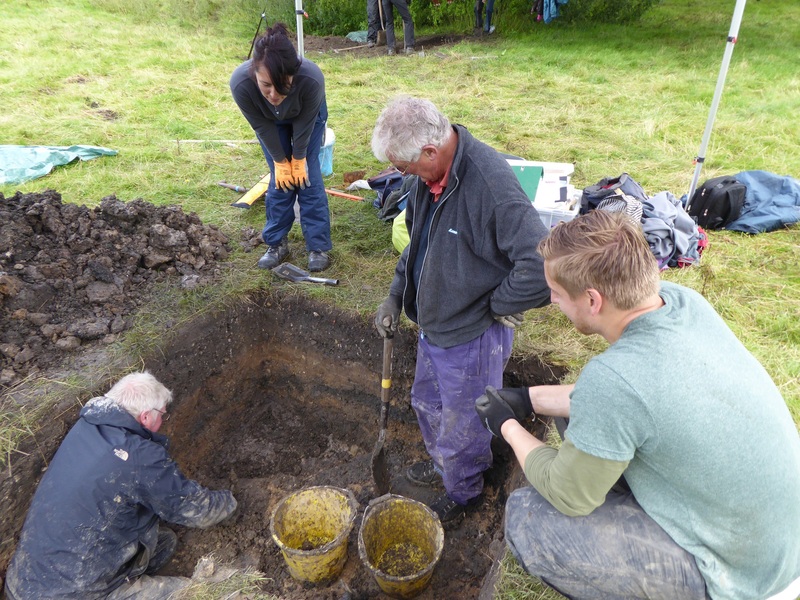 In amongst the digging we also managed to make a short film (in very windy conditions) – have a look here. 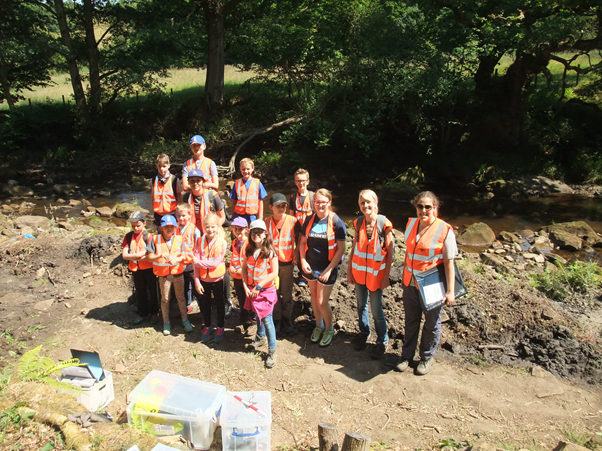 We would like to extend a big thank you to all of our volunteers who took part in the excavation, and also a big thank you to all of the members of the local community who came to visit us and asked great questions or provided invaluable insights into Goathland life and industry. To learn more about upcoming events and volunteering opportunities, please contact the Land of Iron team on 01439 772700 or email us.